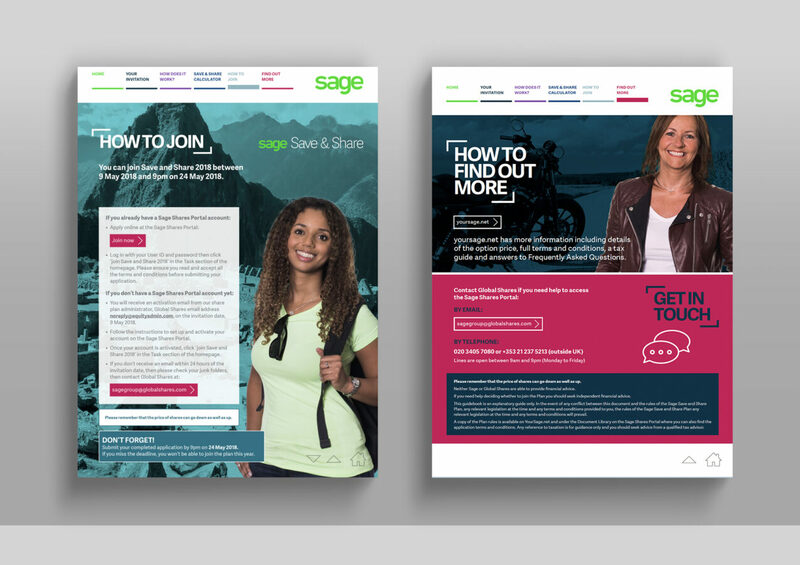 This Spring we worked with Sage on refreshing their Save and Share plan communications. With the internal branding team taking the concept lead, the project consisted of applying this creative approach consistently across 19 different brochures and co-ordinating the translation and production of materials for 14,000 employees around the world. The Sage Save and Share, a global sharesave plan, encourages staff to follow their dreams by saving a little each month and then investing their savings in Sage shares if it is right for them. 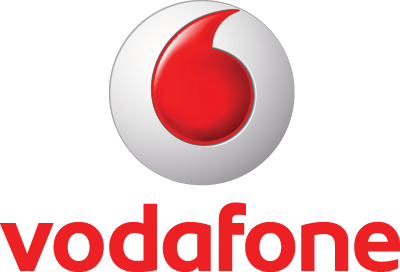 With Sage being a company that has a passion for possibilities, not limits, it was important to underpin all the communications with the right ethos. The Challenge: Last year Sage launched their plan and were delighted with the success, but this year they wanted to encourage more employees to join the risk-free savings plan. As always, this was an exercise in helping employees understand exactly what the plan was about so that they would feel equipped to make the right financial decision for them. Naturally, share plan communications play a large role in educating employees, so we were well placed to help! In addition to the usual challenges around financial education, the global spread of Sage’s employees, meant that we had to be considered in the language and layouts used in the share plan communications. In addition to translating and laying out specific versions, we needed to be mindful of the complexities around currency conversion and varied savings terms in different countries. As the plan had already been launched, we also needed to consider how the messaging could resonate with different audiences and how best to split the communications in line with data. 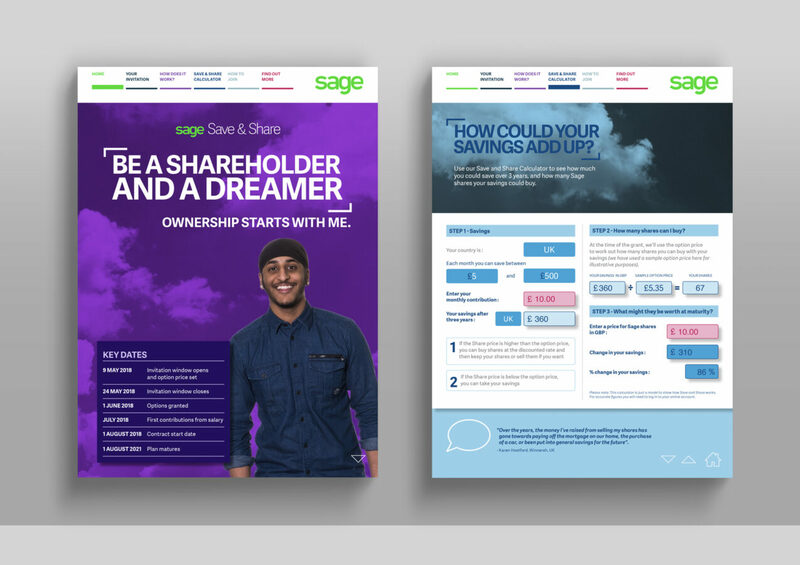 The Solution: Working closely with the Sage brand team, we were able to develop the approved concept into a theme for the new share plan communications that tied the Sage employee ethos perfectly with Save and Share. We gave the previous year’s brochures a completely fresh layout with space to pull out important details and accommodate a bespoke calculation tool. Not only did this allow employees to model their own potential financial gains, but it took the complexities of currency conversion away by doing the maths in the background. To address the different groups of employees with varying levels of previous engagement with Save and Share, we produced emails for multiple demographics. For instance, those already in another Save and Share plan from a previous year, were reminded of their headroom and given the opportunity to join this year’s plan. Outcome: An aligned share plan communications approach for Sage employees around the world, with each country having its own specific guide. Check back soon to see how much employee take-up increased by.